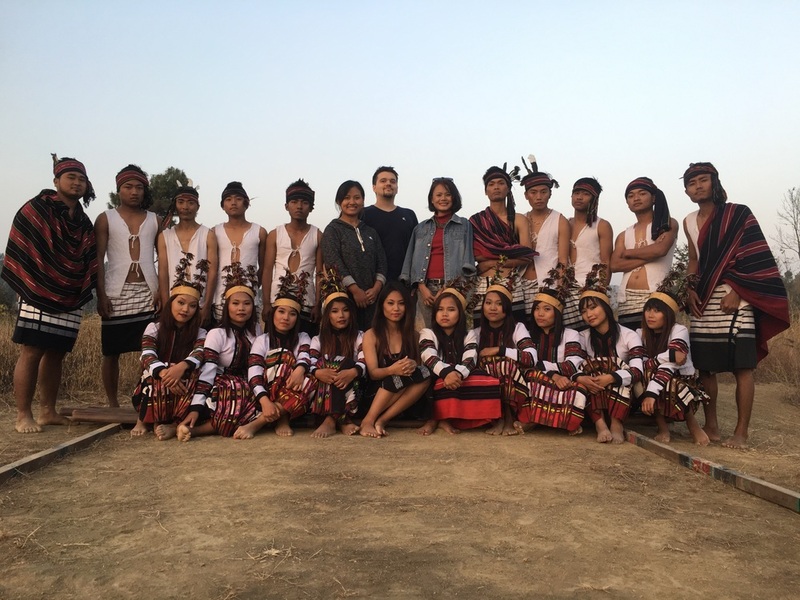 We finished filming the Bamboo Dance in Manipur. We hiked and we traveled to get the scenes we needed. Day 1 we filmed the whole dance on top of a mountain. Well they call it a hill but it took me forever to get to the top so I consider it a mountain. Or at least a little baby one. Day 2 we filmed the story behind, how it all started, the Hmar culture and Bamboo Dance. I have said this many times how rich this culture is and it was a privilege to actually work with them and help preserve their story! This short film was captured in RAW so the processing in post productiom will take much longer than I anticipated; first time using this method and so far it looks amazing! We also recorded high quality audio of ambient sounds with detail sounds (such as bamboo bridge, bush shuffle, wood chopping, footsteps, animals, river, background Hmar language, etc.) and also recorded some of my Hmar associates singing the vocal Bamboo Song. I am considering of outsourcing this project when I finish the visuals and see if there is anyone willing in taking over the final step and scoring the final audio track into a cinematic genre implementing with local instruments (natural sounds) we have recorded. I will provide all the original files that have been recorded here. Thanks everyone for the support. It was really fun and I'm going to miss the crew here. Very talented people. Jeffrey and I recording the bamboo bridge sounds. This post production will be on hold until our next vacation (a month from now). Can't wait to finish this project!